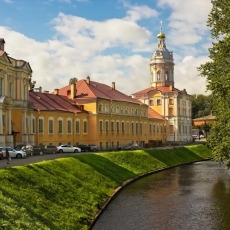 You can walk along the square right in the heart of the city and enjoy the architectural monuments, which contains the great ensemble of the square. g 0 ч. 30 мин. Arts Square is one of the main architectural spots of Saint-Petersburg, located between Inzhenernaya and Italyanskay Streets. 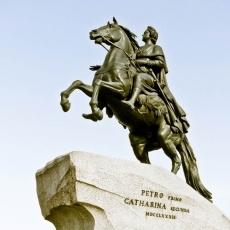 The name of the square is an original reference point for citizens and tourists. It was built according to the design of the famous architect C. Rossi, who's name became almost a common noun in the first half of the XIX century. 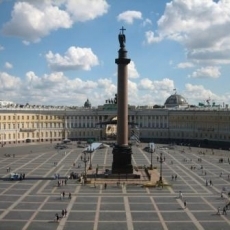 The square itself as an united complex of buildings is a part of the list of historical constructions of Saint-Petersburg and is guarded by UNESKO. 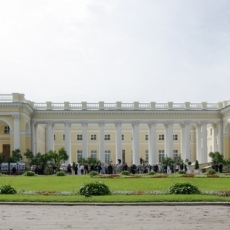 Arts Square is an architectural unit was founded in 1816 on the spot of the famous greenhouses of Mihailovsky Palace, when it was decided to build a permanent edifice for the residence of Grand Duke Mikhail Pavlovich. C. Rossi created a development project of surrounding area. He designed the square as a united complex of buildings and structures. In 1823 the palace was opened and Arts Square began to be created, taking in mind the new conception of the city centre. The theatre building was decided to construct in the western part of the square, as it was planned according to original design. However, the construction works were managed by architect A. Brullov with the help of C. Rossi's designed project. So, Mikhailovsky Theatre was set up here. It was not an united project, rather the collection of ideas, but author's concepts were realized very successfully - as a result, the theatre building as a real pearl of the ensemble. Architects P. Vandamini, P. Jako, A. Postnikov, P. Svinyin, A. Melnikov and I. Gaberzetel constructed almost at the same time the complex of other buildings, making small changes and taking into account the scale of construction works, causing huge temporary building site for that times. 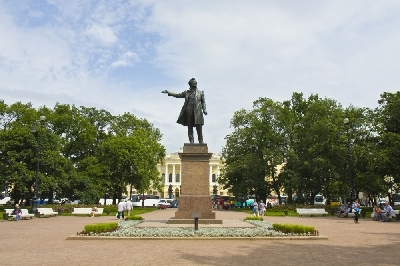 Nicholas I, who struggled for a bringing order to the central part of Saint-Petersburg in the nearest future, issue an edict in 1827 for creating a public garden on this spot. 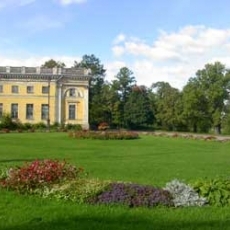 C. Rossi was charged with the lay-out project, and D. Bush as responsible for the planting of greenery design. Moreover, the foreground task was to create green plantations in constructing city, because, if to take into account the fact, that even nowadays there are no many of them, nevertheless, it applies to any European capital, which construction is rooted in centuries. 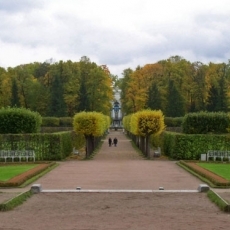 In 1891 the main gardener of Saint-Petersburg V. Vise held the reconstruction of the public garden. Trees were removed from the centre, and the vista over the portico of Mikhailovsky Palace from Nevsky Prospekt side was opened up. 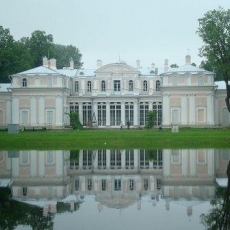 In the end of the XIX century, in 1895, the fisc of the Russian Emperor was spent on purchasing a building to place there a huge collection of Russian art. 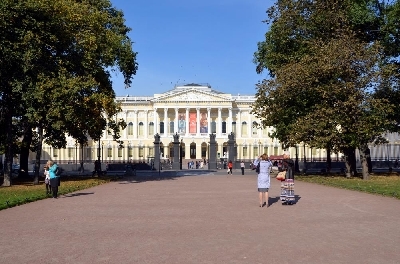 The same year, on the 13th of April, it was renamed as Russian Museum of the Emperor Alexander III according to the Greatest decree. On the 7th of March 1898 it was opened for visitors after the thorough repairs. 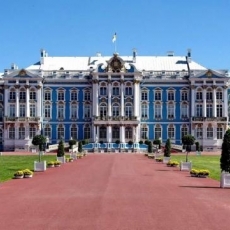 According to the project documents of the architect V. Svinyin quite grand works on reconstruction of the inner side of Mikhailovsky Palace, were held, and the building, which belonged to the Ethnographic Museum, appeared from the western side at short notice. Ensemble of the Arts Square is the unite project of the complex of buildings: Russian Ethnographic Museum, the Grand Hall of Saint-Petersburg Philharmonia, hotel "Europe", house of architect P. Jaco, Catholic Church of St. Catherine, house of Vielgorsky and Mikhailovsky Palace, and, of course, Benois Wing - Russian Museum and Mikhailovsky Theatre. By the way, the famous monument to Alexander Pushkin is the part of this wonderful ensemble of buildings as well. 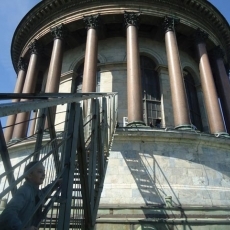 The monument itself is located on the centre of the square, and was opened not so long time ago, in 1957, in memorial of 250-anniversary of Leningrad. Alexander Pushkin is the greatest Russian poet, who is well-known all around the world. 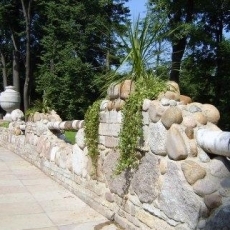 Architects M. Anikushin and V. Petrov tried to create a monument, which would fit in the conception of the architectural ensemble, and they managed to do it. Incidentally, the monument itself and its visual appearance is one of the most replicateable image of the poet and, perhaps, one of the most famous.